Although I went a little piercing and tattoo-happy in my college days, I’ve never been a huge fan of needles. I cannot watch needles puncturing my skin because I WILL get ill and I WILL pass out. Why would I consider acupuncture then, you ask? First of all, I’m all about alternative forms of medicine. I don’t particularly enjoy having to ingest prescribed medications full of manmade chemicals. Lately I’ve been a lot more aware of what I choose to put inside my body, and at the ripe old age of 24, my body needs a little more TLC than in previous years. I want to go on record as saying my acupuncture experience was my least frightening encounter with needles ever. Lying on my stomach without the opportunity to see the needles didn’t hurt, but the needles literally didn’t hurt. There were a few more tender spots than others, like the tops of my feet (where I sport a lovely Fleetwood Mac-inspired tattoo) and the insides of my legs, right above my ankles. Other than that, it was virtually painless. 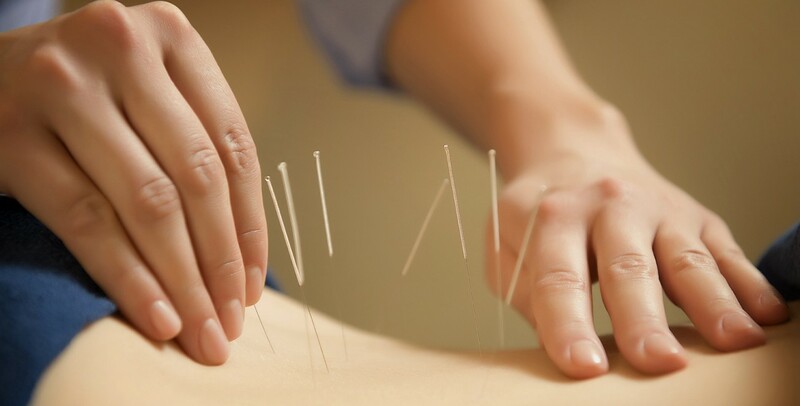 Now, just like any other visits to the doctor, your acupuncturist will ask you questions about your medical history and what types of ailments you currently experience all over your body, inside and out—there’s nothing like verbally expressing your concerns about your health to make you realize just how many you have. Anyway, he/she will assess the situation by further taking your pulse, etc. Personally, I’ve been struggling with fatigue (tossing and turning at night, among other reasons), dehydration (oops! ), swollen joints (accredited to aforementioned involvement with dancing/running), back pain, and coldness and numbness in my feet and hands. When I was ready and cozied up on the table, my acupuncturist began with cupping therapy. Cupping involves glass cups that are heated on the inside to create a vacuum when applied to the skin. The skin is pulled upward, stimulating the flow of blood to the affected area. Admittedly I had a few hickey-like marks after the procedure (2004 Gwenyth Paltrow, anyone? ), but it’s definitely a small and insignificant price to pay. Next came the needles. Because I am not a licensed acupuncturist or expert in traditional Chinese medicine, not to mention I was slightly afraid at first, I can’t remember which parts of the body each needle was purposed for, but I do know that I had needles on both feet and legs, high shoulders, and down my spine. The basic concept of needling is that the body is made of interconnected systems which must be in harmony to achieve overall wellness. The needles are placed on specific points of the body to restore the balance of energy—qi—within the body. Once my acupuncturist got rolling, I was totally relaxed. The needles didn’t necessarily feel good, they just didn’t really feel at all. The music in the background, which he gets extra points for letting me choose, only added to my enjoyable experience. He then turned down the lights and exited the room for several minutes to let me decompress and let the needles do their job. I was skeptical about feeling results immediately/the next day after only one treatment, but I can honestly say that I slept like a darling baby that night, and woke up the next morning feeling totally rested and ready to be majorly productive—yes, even though it was a Friday. I definitely plan on following up with more sessions to address my body’s imbalances and suggest you give it a try, too. Acupuncture has been studied, practiced, and perfected over thousands of years; how can you get more credible than that? Ready to try acupuncture yourself? Contact us online or give us a call to schedule your appointment!